Get ready, 'cause Sebastián Rulli is ready to strip for you all month long, as you've voted for him to be our Man of the Month for September. (For the full results of the poll), see this post.) Sebastián Rulli was born July 6, 1975 in Buenos Aires, Argentina. I still have some work to do on the new site re: fixing the theme, adding goodies like my blogroll, etc., but I'm already posting over there, so go check it out! I'll keep this old blog open for archival purposes (and for backup in case the new site doesn't work out), but from now on all updates will be at the new site. Terra the Boy provides the perfect way to cap the year with 21-year-old Paulo Henrique, who was born on January 16, 1987 in Campinas, São Paulo. Truly spectacular! Among Jorge Alberti's duties as the Rey (King) of the Festival de Viña 2008: parading shirtless in a car before an appreciative crowd. 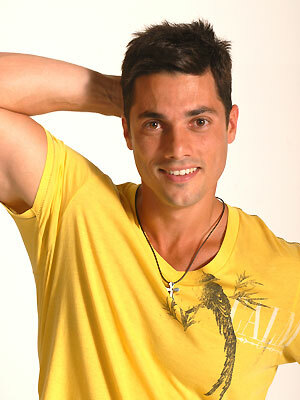 More from the source: ¡Fotos Exclusivas de Jorge Alberti en Viña! And, yes, I did have a reason to put up three separate Jorge Alberti posts today. I wanted to wrap up the posts featuring this particular Man of the Month in order to have them all in one place. What what that means is, I'm thinking of moving this blog elsewhere; in fact, I'm thinking of possibly hosting it myself under its own domain name. I just feel like making some changes around here, doing something to re-energize myself. I'll keep posting here until the new blog's ready, and of course I'll let you know where our new home will be. In the meantime, y'all have yourselves a Merry Christmas! Re-presenting my screen captures of our Man of the Month, Jorge Alberti from Puerto Rico. 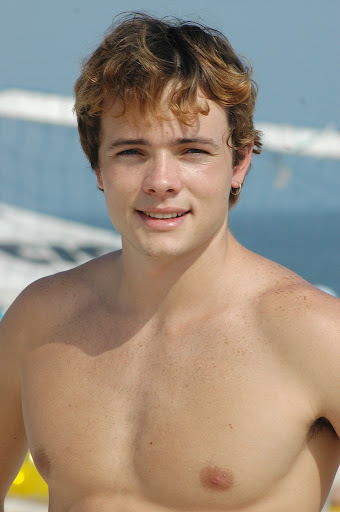 This was back in the beginning of his career, when he made brief appearances in "Amor Descarado" and "Ángel Rebelde" and we didn't know his name and so refereed to him as "Towel Boy". You can see why he caught my eye. 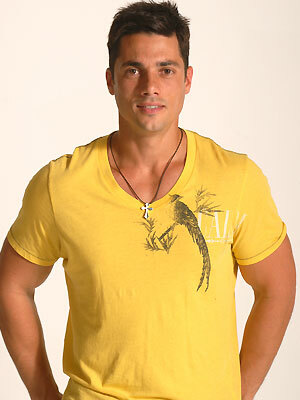 Daniel Dalcin is a 23-year old model-turned-actor from Cabo Frio, Rio de Janeiro. He previously starred in the telenovelas "Vidas Opostas" and "Amor e Intrigas", and he'll be joining the cast of the Brazilian teen drama “Malhação” as Alex Bacelar, a charismatic and talented singer. You can find more of him in this foto album. More fotos of our Man of the Month, Puerto Rican actor Jorge Alberti, upon his being crowned the Rey (King) of the Festival de Viña 2008. There's more from the source, this gallery from Terra.cl, but for easy access I've gathered all the shirtless fotos and placed them in our foto album. Try the new Cisoto Fotos Search homepage!